Background/Info: German solo-project Nam-Khar has already released several productions on very different labels, but now joined forces together with Winter-Light to unleash its new studio album. I realized it’s only the second full length of Nam-Khar and the first one since 2009 (!) as the project did a lot of collaboration-albums together with bands such as Sielwolf, Alone In The Hollow Garden ao. 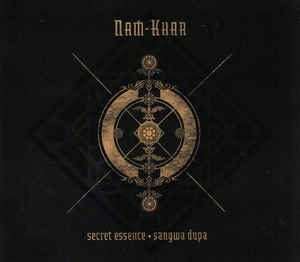 Content: Inspired by ritual music, “Secret Essence / Sangwa Dupa” features a dark sonic voyage, which will also appeal for dark-ambient lovers. From very experimental sound treatments and field recordings towards impressive, blasting passages, this work rapidly has something of a monstrous sound production. Resonating sound waves and other low sonic resonations are progressively evolving towards something more personal at the very last part of the work. + + + : Nam-Khar is not exactly dealing with the most typical format of ambient music. It’s a very sophisticated and even detailed sound production revealing an impressive sound/noise canvas emerging from everywhere. I like the global sound production, which has something overwhelming. There are numerous real heavy sound treatments running through the work, which also creates a kind of contrast with some more intimate cuts at the end of the album. It’s an elaborated creation accomplished with different kinds of instruments, electronics and noise sources. Last, but not least I also want to say a word about the cool, artistic digipak format. 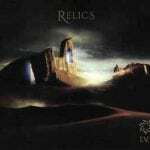 – – – : This is not exactly the most ‘typical’ work in the dark-ambient genre. When some productions in this genre of music are too sophisticated and worked out, they’re maybe missing a part of their effect and impact. Conclusion: “Secret Essence / Sangwa Dupa” is a rather experimental approach of dark-ambient with some extra ritualistic elements on top. Best songs: “Gyalpo”, “Dri Za”, “Sab Dak”, “Bdud”.